Home / Windows 10 / What is msmpeng.exe Process and Why It Causes High RAM Usage? 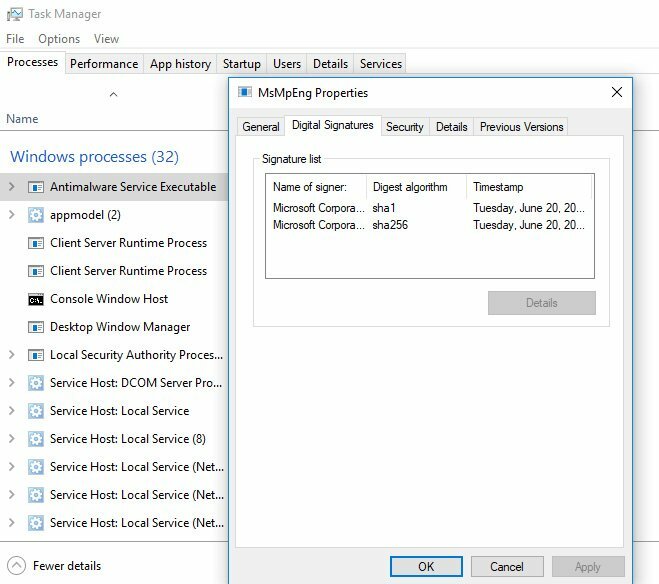 While investigating the Windows 10 processes in Task Manager you can face with msmpeng.exe or Antimalware Service Executable. Sometimes it causes a very high RAM usage making work on your machine uncomfortable. In this article we will take a closer look on the process, why it can load your CPU and how to fix this. What is Antimalware Service Executable (MsMpEng.exe)? Msmpeng.exe is a basic background process of Windows 10 built-in Windows Defender antivirus, it is run by default. 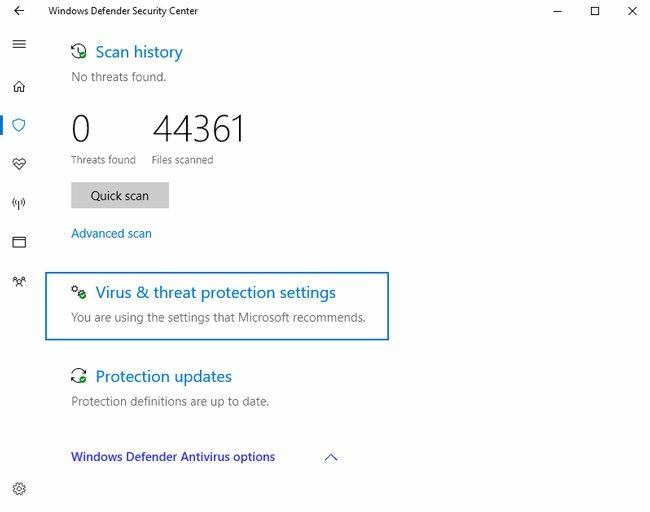 While Antimalware Service Executable is running, the Windows Defender checks all downloads and programs for virus infections, malware etc. It also performs an automatic hard drives scanning periodically. Why msmpeng.exe Causes High RAM Usage? Even when working properly the Antimalware Service Executable (or msmpeng.exe) can use a lot of system resources, but in most cases this is happening shortly and only in specific situations. In a few situations issue could be caused by a third-party application or service. You need to perform a clean boot of Windows 10. If everything seems to be fine after that, you need to check all third-party applications for issues by running them one by one. Most often msmpeng.exe issue doesn’t mean your computer infected with virus or malware, but you need to check this too. Go to Task manager, right click on MsMpEng.exe process and choose Open file location from context menu. In case it is located in C:\Program Files\Windows Defender, most likely everything is OK and your machine is not infected (you can do one more check and take a look at file’s signature — it must have a Microsoft digital signature). That’s all! Hope this article helped you to fix the issues with msmpeng.exe (Antimalware Service Executable)!